Volunteering Matters: Deer Exclosure at Apshawa Preserve – Live, Love, Simple. Volunteering Matters is an ongoing series where I share photographs & thoughts regarding my favourite volunteer projects. Volunteering is an important part of my life. I’m always looking for ways to volunteer my time & energy to good, fulfilling causes. While it can be difficult to manage multiple careers, it’s easy to take advantage of numerous volunteer opportunities to satisfy my many passions & interests. Volunteering allows me to forge friendships, pursue my passions, lift my self-esteem, and build/strengthen my body of knowledge. Perhaps best of all, volunteering just makes me feel good. 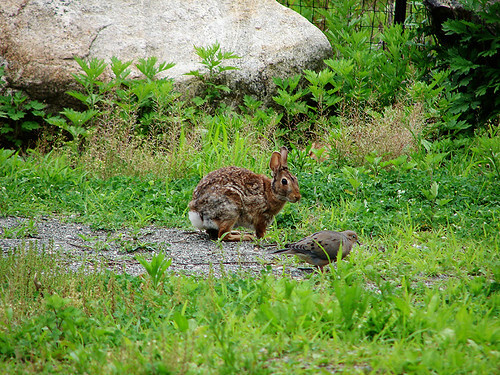 Last June, I started working with the New Jersey Conservation Foundation (NJCF). 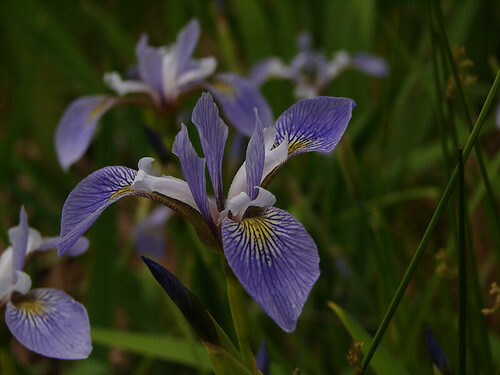 NJCF’s mission is to preserve New Jersey’s land and natural resources for the benefit of all. Since 1960, NJCF has protected over 120,000 acres of natural areas and farmland in New Jersey—from farms to forests to urban and suburban parks. My first task as a volunteer for NJCF was to create a scavenger hunt for children at Apshawa Preserve. My next task will be a longer-term project. Along with a few other volunteers & staff, I will be monitoring the deer exclosure at Apshawa Preserve. The 576-acre preserve has an overpopulation of white-tail deer. The deer—being native to the area—eat the native plant life. 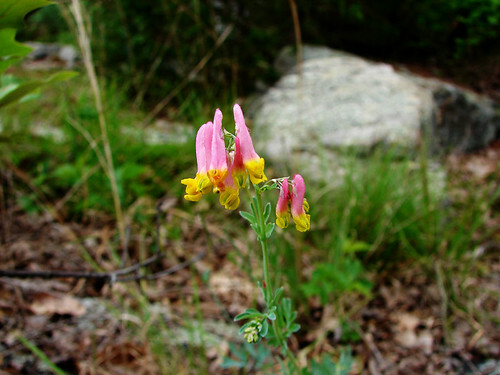 In turn, the native plant life is disappearing and the invasive species are thriving. 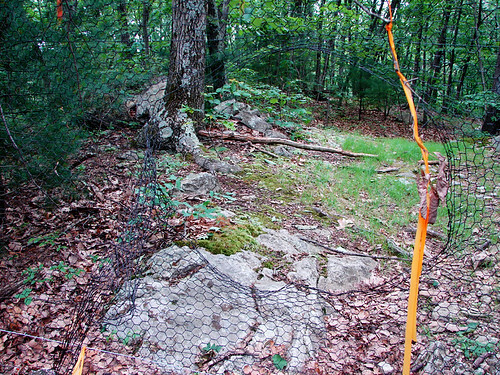 The 3.2-mile-long fence will keep deer out and promote reforestation. How do you get in & out? There are self-closing gates placed all along the fence that make it super-easy (for humans!) to get in & out. 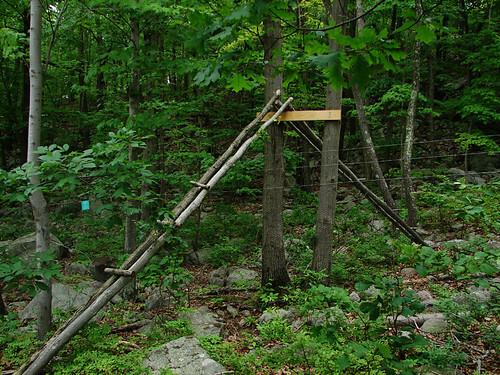 Log bridges are placed along the fence to allow animals like bobcats, foxes, raccoons, possums and even bears to easily cross into and out of the preserve. Additionally small paths are carved beneath the fence in places to allow small reptiles—like turtles & frogs—to pass underneath. Sadly, vandalism is an issue. There are people who oppose the fence for various reasons. Hunters do not like the fence (even though there are countless other places to hunt nearby). Local folks—neighbors, hikers, etc.—don’t like the fence because, well, I think it’s because some people don’t like change. ATV riders don’t like the fence though it is illegal to ride in the preserve. And finally, there are others who (seemingly) just like to be difficult. No. I am not afraid. I am not afraid of the vandals because they are unlikely to vandalize when there are people around. I do get nervous about bears but the reality is that black bears (the only kind we get around here) are generally docile creatures. So long as you make noise as you walk—set your cell phone to go off every few minutes, make loud footsteps, or (in my case) talk/sing to yourself & your dog—the bears will head away from you, not toward you. 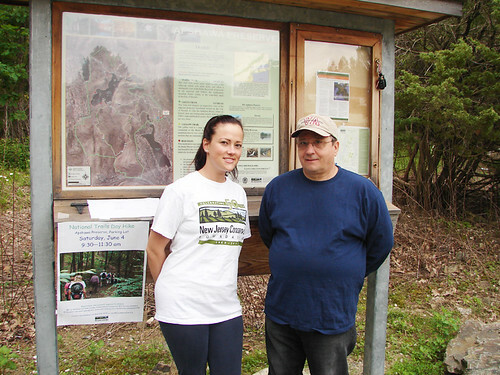 Saturday was National Trails Day. 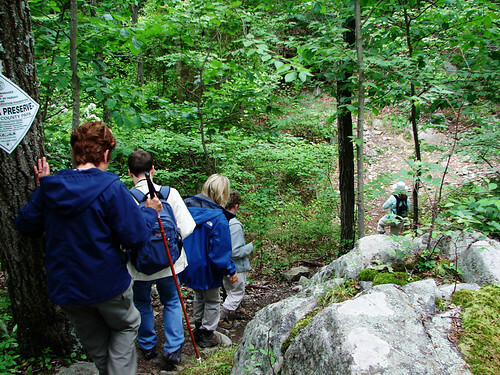 To celebrate, an NJCF staff-person lead a group of us on a one-hour hike through Apshawa. Afterward, myself and a couple other volunteers received our orientation about monitoring the deer fence. Our task will be to monitor the fence about once a week & make minor repairs. We will also report back on major damage (fallen trees, vandalism, etc.) so that staff people can come out & make those fixes. I am so excited to be taking part in this project! Apshawa is such an incredibly beautiful place and knowing that I am helping to keep it that way is overwhelming in such a great way. Here are a few photographs that I snapped on Saturday. 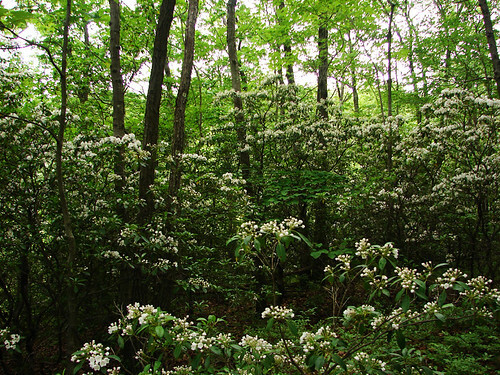 Beautiful stretches of Mountain Laurel in bloom, looks like snow in the middle of June! ← If it’s worth having, it’s worth fighting for. Very nice post and some great pics. Volunteering is a great way to make a difference and feel good about yourself while helping others. Enjoy yourself while monitoring the deer fence and be careful of the 2 footed crazy animals. You’re right. It’s definitely the two-legged animals that I need to watch out for.